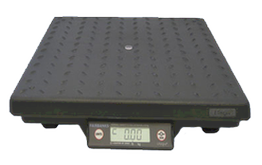 The Ultegra Flat Top is an NTEP-approved scale with features designed for shipping & general weighing in non-hazardous and non-washdown environments. 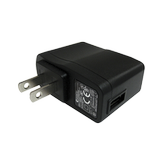 The scale is powered via USB, meaning only one cable is needed for both power and communication. An ABS composite shell with molded structural skeleton mean the Ultegra weighs only 11 pounds, but can withstand accidental overloads of 450-pound items. 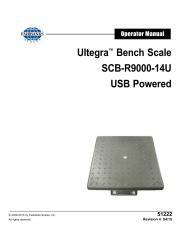 This structural skeleton also controls deflection meaning that objects weighed without their center of mass near the center of the scale can still be weighed accurately. In order to further increase accuracy, the textured surface helps reduce friction so that items can be positioned easily by sliding. 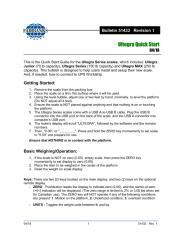 All Ultegras are calibrated at the factory and arrive ready to use. Surface Dimensions: 14" x 14"